Doors Open: 7.30pm, Showtime: 8.30pm. MEMO Music Hall takes great pleasure in presenting not one but two ‘Brilliant Acts’ together for the first time in Australia. 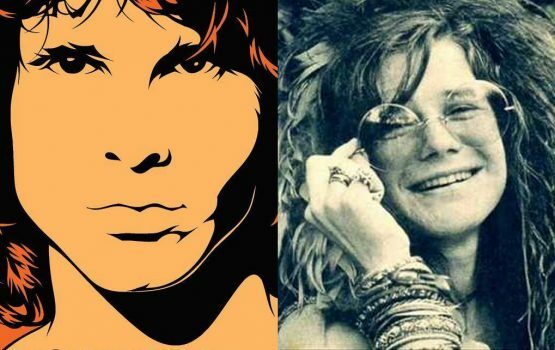 UNLOCKING THE DOORS and PEARL; THE JANIS JOPLIN STORY. Frontman RICHIE truly captures the Shamanistic energy of the legendary JIM MORRISON, along with the hypnotic bass lines and swirling keys, legato blues inspired guitar modality and an eclectic fusion of Jazz, Rock and Latin drum beats, make for the ultimate Doors experience. Unlocking the Doors are four Wollongong based musicians dedicated to capturing the magic of the live performance and sound that was unmistakably THE DOORS. Performing the stories, songs and music of the late great JANIS JOPLIN, ANTHEA ‘JEWELS’ SIDIROPOULOS pays tribute to Janis’ legendary rock and roll historical influence and her empowering human spirit. Having performed with Janis’ band on three occasions in San Francisco, Jewels presents the only show in Australia to be endorsed by Janis Joplin’s Estate and family, and leaves audiences feeling like they’ve attended a concert with Janis Joplin herself. Is everybody in? The ceremony is about to begin…….